A planning application is to be submitted to Chesterfield Borough Council seeking permission to convert the town's landmark former Co-op store for a mixed leisure and restaurant use. The large site in Elder Way has been empty since the town's Co-op department store shut its doors to customers for the final time in July 2013. Now, Central England Co-operative, which still owns the site, is working in partnership with Jomast Developments Ltd, who will shortly submit a planning application for a scheme. A 16,000 sq ft health and fitness area in the basement. The developers plan to refurbish the existing building and keep most of its original features. Councillor John Burrows, Chesterfield Borough Council's leader and cabinet member for regeneration (left), said: "The former Co-op store is a really important site because it occupies such a large and prominent part of the town centre. "Our economic development and planning teams have done a huge amount of work behind the scenes with Jomast and Central England Co-operative, to enable us to get to a day where a planning application can be submitted that proposes a new future for this important site within the town. "However, as with all planning applications, the council's planning committee will have to consider the application with an open mind, balancing all aspects of the scheme, and taking into account the opinions of the public, businesses and other bodies, before coming to a decision." 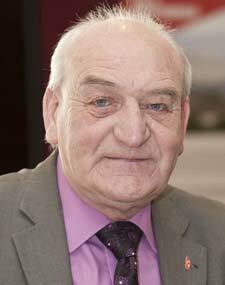 It is expected that a planning application will be formally submitted in the week beginning 12th October. It is anticipated that a decision will be made within eight weeks. During this period there will be a 21 day consultation with the public, businesses and other interested parties. 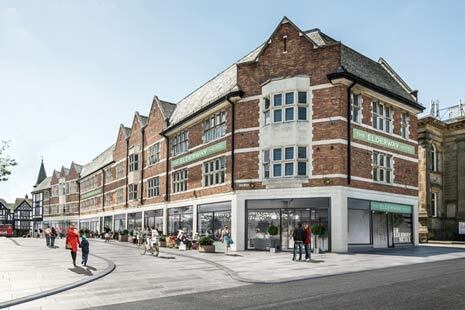 Adam Hearld, development director for Jomast, said: "This is a hugely exciting opportunity to revitalise a significant landmark building and create a vibrant leisure destination comprising restaurants, hotel and health and fitness accommodation in the heart of Chesterfield town centre. "We are in the process of talking to a number of established national operators who are keen to locate in the town and benefit from a market which is currently lacking in real choice for leisure consumers. "We will hopefully be successful in securing planning consent and able to commence works on the scheme in the New Year." Peter Swallow, Chair of Destination Chesterfield, the town's inward investment campaign, said: "I'm delighted that the potential of the former Co-op building has been recognised by investors. 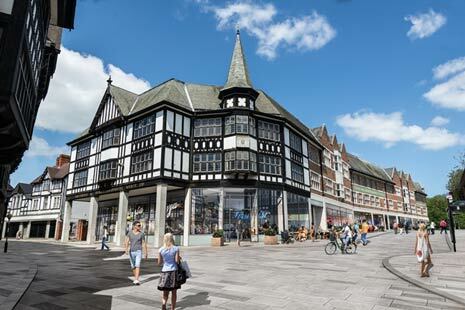 It has a prime spot in the town and plays a key role in the town centre master plan. 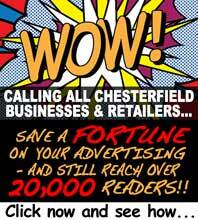 Chesterfield already has very low shop vacancy rates and the proposed redevelopment of the former Co-op store will further enhance the town's offering, helping us attract further town investment as well as make us a go to destination for shoppers and tourists." Scott Knowles, Chief Executive of East Midlands Chamber (Derbyshire, Nottinghamshire, Leicestershire), said: "It was a huge blow to Chesterfield when the Co-op closed its doors in 2013, but it's great to see that significant progress has been made to bring the iconic building it vacated back into use to boost the town's leisure offering." The news of the proposed redevelopment plans for the Co-op building follows on the back of the announcement earlier in the year that £1billion of investment is taking place in the Borough over the next 10 years, including the £400 million Peak Resort, £320 million Chesterfield Waterside, £88 million Markham Vale and Northern Gateway developments. Located on the edge of the Peak District and within 30 minutes of Sheffield, Nottingham and Derby, Chesterfield has long flown under the radar of investors. The town has excellent transport links and has a wealth of commercial, industrial and office properties available at competitive prices. To highlight the investment potential of the town, the inward investment campaign Destination Chesterfield was launched in 2011 to raise awareness of the benefits of living, working and investing in it. To support the 'modern awakening' of Chesterfield, Chesterfield College is expanding its provision and the University of Derby is opening a campus in the town. Hundreds of new homes are also being delivered the town's gateways are being enhanced, the most recent of which included the unveiling of the stunning 'Growth' sculpture on Hornsbridge Island. Peter Swallow added: "We want Chesterfield to be a place people stop and stay in, rather than travel through to the Peak District - and Destination Chesterfield is an important part of that. We forged ahead with our marketing plans through the recession and we are now reaping the rewards of that as investors are now looking at the town."